Before you send your first email, review your email settings to confirm your default settings and make use of HubSpot's email features. Marketing Hub Enterprise accounts can set up send frequency settings for marketing emails. Please note: these settings apply to Marketing Hub Professional and Enterprise accounts. Learn how to set up your Marketing Hub Starter email account settings. On the Configuration tab, set your default email size, colors, and email footer information. Your email footer contains the physical address of your business. This information is automatically included in the footer of all marketing emails. Learn more about required email footer information, and how to manage your email footer in HubSpot. Email body width: the space for your email content such as text and images. By default, this is set to 600px, which renders across most common email clients. Email body padding: the space between your email content and the outer edge of the email border. By default, this is set to 30px, which renders across most common email clients. Select the default fonts used in your marketing emails. To apply a custom font, you'll need to edit the HTML markup of your template. Use the dropdown menus to choose your primary and secondary font and font size. Click the color bubble for any of the default colors you want to update. Click the color gradient to select a color and shade. Or you can manually enter a hexadecimal value. Select the default colors for your email body and border, and select favorite colors. These colors will be available in the email editor and any other rich text module. Click the color bubble next to the default colors you want to update. Click the color gradient to select a color and shade, or manually enter a hexadecimal value. To add a border to your email body, click the Border color options dropdown menu. Click the color bubble to select a border color or enter a hexadecimal value. To select a language for the dates listed at the top of your RSS emails, click the Language for dates dropdown menu to select a language. This will dynamically update the options available for your RSS email date format below. To select a date format for your RSS email, click the RSS email date format dropdown menu and select a date format. Set your global defaults for contact and company personalization tokens. Learn more about setting global defaults for personalization tokens. In the dialog box, search for and select a property, then enter a default value. Manage your email preference page templates, and your marketing email subscription settings. Subscription preferences page: the page where contacts manage their opt-in status for your email subscription types. Unsubscribe backup page: your Subscription preferences page template displays to known contacts managing their email preferences via the unsubscribe link at the bottom of your marketing email. The backup page is used when the contact isn't recognized. Subscription update confirmation page: the page your contacts see after they update their subscription preferences. This feature uses data from previous email campaigns to exclude contacts who haven't been opening and clicking your marketing emails. Click to toggle the Don't send to unengaged contacts switch on to enable this feature automatically. You can manage this setting for an individual email in the Recipients tab of the email editor. 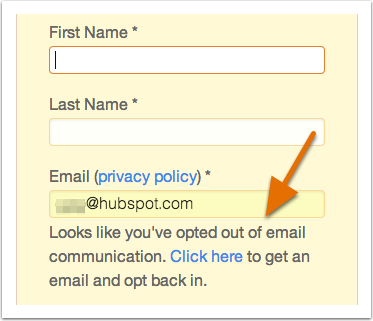 This setting allows contacts who previously opted out of all emails to manage their email subscription preferences on any HubSpot form. Please note: you will not be able to use the Forms API with an email resubscription form. You'll be redirected to the email editor for your resubscribe email. You can edit the email details. This resubscription email has pre-populated text you can customize, but you must keep the update your subscription preferences link. When your email is ready, in the upper-right click Next. Then click Publish to take the email live and return to your email settings. Click to toggle the Resubscription email switch on, then click Save. Now, when someone who previously unsubscribed from all your email subscription types comes back to your site to fill out a form or pop-up form, they'll see a note with a link to manage their email preferences. You can automatically send a compliance copy email to a designated recipient. This feature is available for organizations required to evaluate all outgoing messages for compliance to standards set by the U.S. Securities and Exchange Commission (SEC). Learn more about the compliance copy email setting. Please note: enabling the Compliance copy email setting can generate a large volume of email for the recipient. Confirm with your IT team that your email provider can handle this volume. Double opt-in adds a follow-up email confirmation step to verify new contacts created via form. 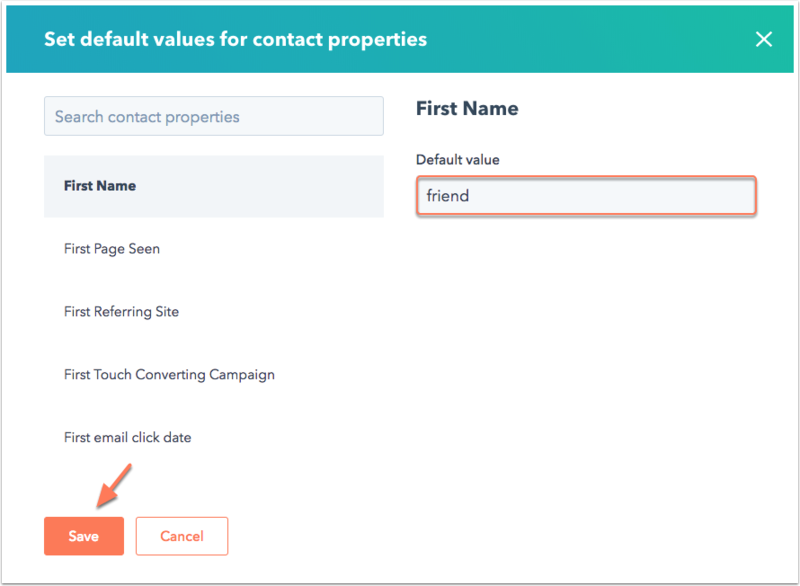 Enabling this setting improves email deliverability, because all new contacts verify their email is correct and confirm they want to hear from you. Learn more about how double opt-in impacts your existing contacts, and how to enable double opt-in. You'll create and publish a confirmation email, customize where this settings gets applied, and specify a confirmation page to redirect contacts after they click to confirm their address. Enter a name and internal description for your subscription type. Select the Active checkbox. This ensures the subscription type will appear on your email preferences page. Enter a public-facing preview of your email subscription type. This information will appear on your email preferences page. 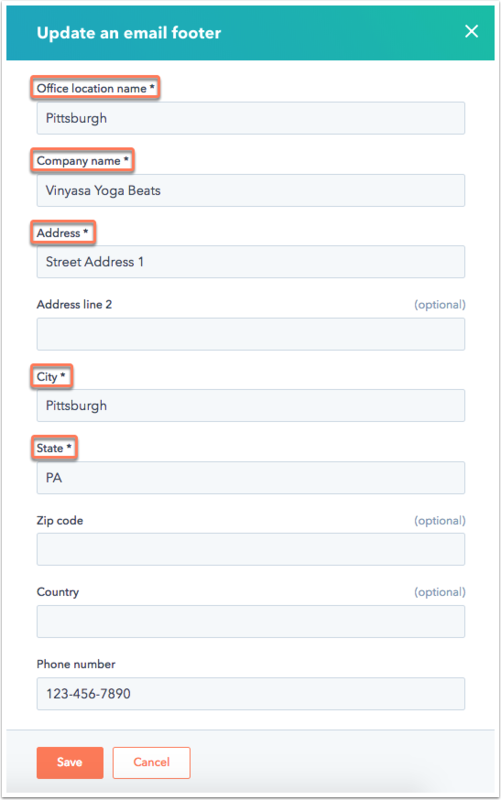 Learn more about how to create and manage your subscription types, and how these types impact contact properties and more. Please note: if you have enabled GDPR functionality and selected the Only allow marketing emails to be sent to contacts who have a legal basis to communicate checkbox, emails can only be sent to contacts who have an Opted in status. Email tracking is enabled by default in your marketing email settings. Accounts with the Transactional Email add-on can track clicks for external non-HubSpot emails using the SMTP API. Track email opens: this setting tracks how many recipients opened your marketing email and displays those details in your email performance data, dashboard reports, and email engagements on the contact timeline. The Track email opens setting must be enabled in order to use the Track clicks setting. Please note: if your disable the Track email setting, HubSpot will still anonymously track this data to support the network health of HubSpot's email sending infrastructure. Track clicks: counts the number of clicks each link in your email receives after you send it. 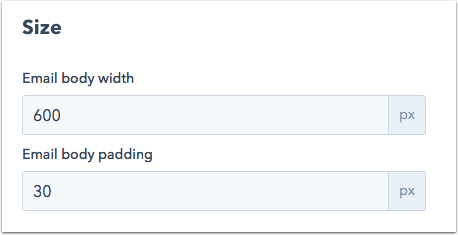 Enable click tracking on both the HTML and plain text version of your emails to see a breakdown of engagement on both versions of your email. Clicks on email tests won't be included. Click tracking domain: links in your email are customized to reference the HubSpot domain connected for your email tool. Referencing your own domain looks more trustworthy to email filters, which improves deliverability. Click Manage domains to connect a different domain. Identity Tracking: used to identify which contacts clicked the links in your marketing email. These clicks appear in your email performance data and on the contact record. The identity is based on the recipient's email address. Please note: when click tracking and identity tracking are enabled, email clicks set a cookie on the visitor's browser that's linked to the recipient's contact record. If the contact forwards their email to someone else, all clicks are still attributed to the original recipient. Learn more about how cookie tracking work in HubSpot. In the SMTP tab, you can learn more about the transactional email add-on. Customers who have purchased the add-on can view and manage their transactional email tokens here. Learn more about how to create SMTP API tokens in the developer documentation.